ACT NOW to Save Wild Birds! Wild birds are under siege. In New York State, they are threatened by a feral cat trap-neuter-return (TNR) bill that offers no provision for excluding return to critical wild bird habitat. Nationwide, they are threatened by amendments to appropriations bills that would prevent all enforcement of the Migratory Bird Treaty Act (MBTA). Please take a moment to voice your opposition. Your action is critically needed! 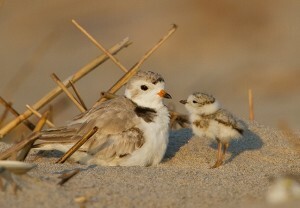 Members residing in New York State, please visit https://www.governor.ny.gov/ to contact and ask Governor Andrew Cuomo to veto the recent TNR bill, which has passed both the Assembly and Senate despite the efforts of bird and conservation organizations. Please veto Senate Bill 1081 (Senator Marchione) and Assembly Bill 2778 (Assemblyman McDonald), an act to amend the agriculture and markets law, in relation to community based initiatives for the purpose of trapping, neutering, vaccinating and returning feral cats to the area from which they were trapped. This practice is known as TNR. TNR has not been scientifically proven effective at reducing the feral cat population, which poses great risks to New York’s wild bird populations, other wildlife, and public health. In addition, this practice conflicts with other sections of Agriculture and Markets law that prevent the release of animals once in custody of a shelter or animal control officer. Worse, there is no provision in the Bill to prohibit or prevent the return of feral cats to critical natural areas. These include Important Bird Areas and New York State Bird Conservation Areas, which have been established and are funded to protect wildlife habitats, as well as nesting and migratory species, some of which appear on the New York State Department of Environmental Conservation’s list of Endangered, Threatened, and Special Concern Species. We urge you to please veto this Bill! Please visit http://www.contactingthecongress.org/, enter your address, and follow the links to your US Senators to submit requests that they oppose any amendments to appropriations bills that contain Congressman Jeff Duncan’s anti-MBTA-enforcement amendments and to vote against any legislation that contains his anti-MBTA-enforcement riders or amendments. Duncan’s efforts are profoundly dangerous to bird conservation. For nearly 100 years the Migratory Bird Treaty Act has been a pillar of Americans’ collective resolve to make a place in our world for birds and their habitats. I am writing to urge you to oppose any efforts to include the House-passed Duncan “Bird Killer Amendments” to the Senate versions of both the Commerce-Justice-Science bill and the Interior-Environment bill. If these amendments had been in effect when the 2010 Deepwater Horizon blowout occurred, BP would not have been subject to prosecution for the killing of millions of birds. I know I can count on you to uphold the timeless bipartisan commitment to conserving our nation’s wildlife for future generations. Texting while Flying? No Problem! A new era of technology has been added to the NYC Audubon/NJ Audubon Harbor Herons foraging surveys. 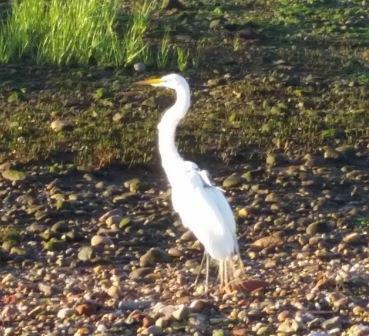 For the past several years, dedicated citizen science volunteers have spent hundreds of hours collecting data on Harbor Heron foraging locations in New York City and NJ. Now two of our birds are part of a larger study being done by scientists at Lenoir-Rhyne University (Dr. John Brzorad), Friends University (Dr. Alan Maccarone), and NJ Audubon (Nellie Tsipoura). (Note: John and Al did some of the original Harbor Herons surveys in the mid-1980s). This work was funded by the US Forest Service, the NJ Division of Fish and Wildlife, and private donations to NJ Audubon, and done in cooperation with the New Jersey Audubon Society, New York City Audubon, and the NYC Department of Parks and Recreation.